Taal Volcano was formed by the subduction of the Eurasian Plate underneath the Philippine Mobile Belt. Taal Lake lies within a 25–30 km caldera formed by explosive eruptions between 140,000 and 5,380 BP. Each of these eruptions created extensive ignimbrite deposits, reaching as far away as where Manila stands today. Since the formation of the caldera, subsequent eruptions have created a volcanic island within the caldera known as Volcano Island. This 5-kilometre (3.1 mi) island covers an area of about 23 square kilometres (8.9 sq mi) with the center of the island occupied by the 2-kilometre (1.2 mi) Main Crater with a single crater lake formed from the 1911 eruption. The island consists of different overlapping cones and craters of which forty-seven have been identified. Twenty six (26) of these are tuff cones, five are cinder cones and four are maars. With its highest elevation at only 311 m (1,020 ft), Taal is one of the lowest volcanoes in the world. 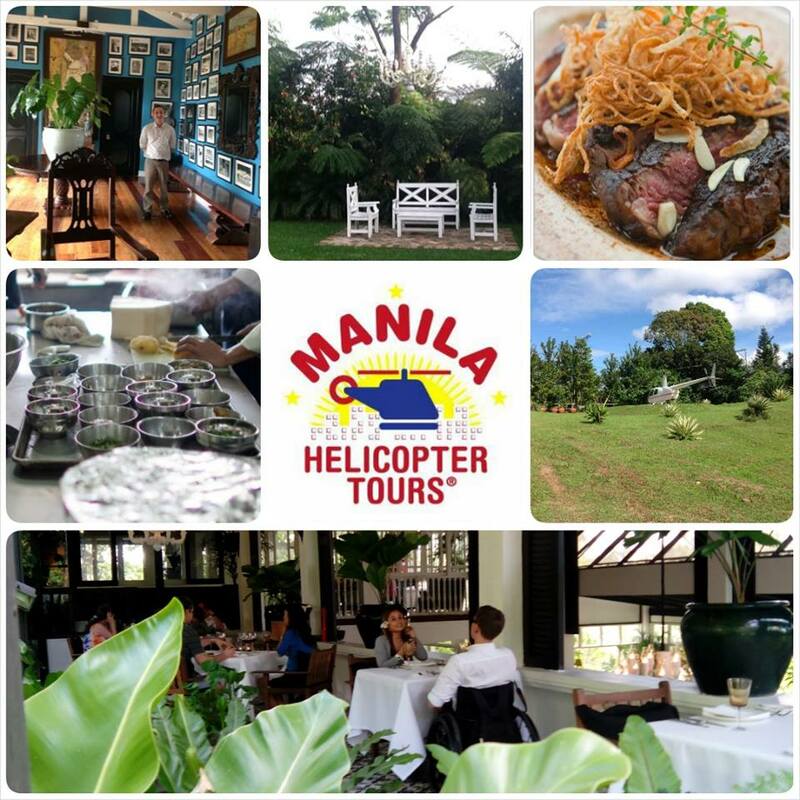 After the tour of the lake and crater, the helicopter will land at Antonio’s Restaurant for lunch. For a large group, the chef recommends the Filipino classic, Lechon de Leche. An organic suckling pig is rubbed with our special blend of herbs and spices. The pig is then slowly roasted until a crisp, dark caramel skin is achieved and the flesh within develops to a flavorful, falling-off-the-bone consistency. A pot of aromatic rice, a sweet-savory mango chutney, a serving of balsamic-infused pearl onions, lightly sautéed slices of Asian mushrooms, a bouquet of grilled spring onions, and, of course, a generous serving of house-made liver sauce helps enhance the dining experience. If you wish to indulge with family and friends, please let us know at least three days in advance.